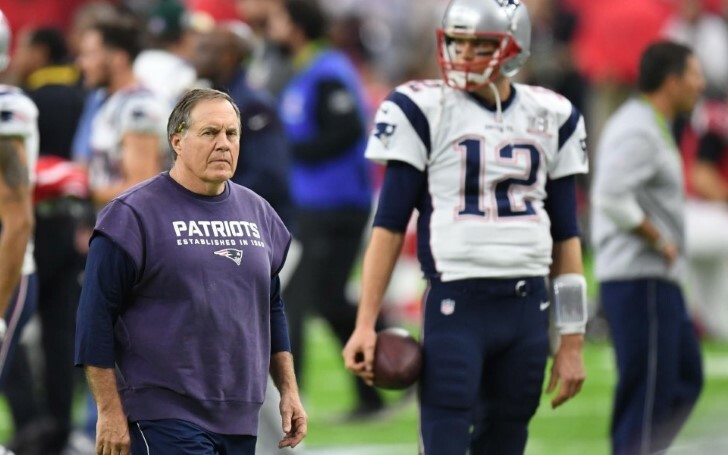 Bill never needed Tom Brady to win the 2019's ultimate silverware; showed the Superbowl LIII. On Sunday night Belichick and Brady captured their sixth championship in Atlanta thumping the same foe they beat to begin their reign all those years ago -- back when Belichick was a formerly great defensive coordinator yet still looking to prove his worth as a coach, Brady just being an underdog, and the Patriots were just another ordinary team trying to secure their first Lombardi Trophy. With their record win 13-3 over the rams, the New England Patriots have now secured their second super bowl in three years in their third straight appearance and their sixth championship since the 2001 season. It also marks the first time the Patriots have won a Super Bowl by more than one score and the second time they've done so without Brady capturing MVP honors -- the distinction that instead went to wideout Julian Edelman, who was the only talked about offensive player in a defensive struggle. 17 years have come and gone since the Patriots' first ever hand on the trophy, yet the game still unfolded in somewhat similar fashion. Most of all, Bill Belichick did it again. And he did so by holding Sean McVay's Rams to three points and 262 yards of offense hence ultimately shutting them in a 13-3 win in Super Bowl 53. As expected, the defensive game-plan of the 66-year-old manager crafted over these last two weeks was full of resourceful tactics that pushed the Rams offense out of its comfort zone. However, the Patriots offense wasn’t giving it their all either. Tom Brady wasn’t Tom Brady in the first place. Contrast to what we’ve been seeing of him, the veteran quarterback wasn’t even the lesser version of it. Although, outside of one great drive — which resulted in the Patriots’ only touchdown — Brady was rather poor and his play was also the reason which gave an additional edge to the Rams for staying in the game for as long as they could have. It didn’t matter, though as four points would have been enough for New England’s defense. Belichick, on the other hand, was just simply doing what he was best at: the mastermind took away what the Rams did best. Given the McVay’s offense was built around the outside zone, Belichick instead designed a rarely used front to stop those runs. Likewise, the Pats lined up with four defensive linemen with two edge defenders flanking the line, creating a six-man front. That, in turn, forced McVay to call more inside zone, which made C.J. Anderson (who is better on those runs) in need of more snaps. And as followed, Belichick was able to take away what the Rams do the best while, in turn, keeping their best offensive player on the sideline. The game fell on third-year quarterback, Goff, which was clearly Belichick’s aim when putting together the plan, and fortunately for the Patriots, no-16 wasn’t up to the task. The young signal-caller was also frustrated by the Patriots twisted coverage-disguises and blitz designs. The Patriots’ mentor had been playing man coverage throughout the playoffs — the team, however, didn’t call a zone coverage until the third quarter of the AFC title game — but eventually mixed in more zone coverages especially designed to take away the Rams’ top passing concepts. The curveball managed to puzzle Goff. Subsequently, he went on to miss open receivers all game long, fail to diagnose blitzed and also never looked comfortable. Furthermore, Patriots players were saying to NFL Network’s Mike Giardi from the beginning that their gameplan would make Goff s–t his pants … and boy how right they turned out to be. Belichick was never concerned about adjusting nor he was ever forced for. Well, not at least, until Patrick Chung left the game with 14:04 in the third quarter. Bill’s solution was unorthodox to hear in the first place. After matching the Rams’ 11 personnel sets (1 RB, 1 TE, 3 WRs) with a nickel defense while Chung still being on the field, the Patriots went with their base defense (four defensive linemen, three linebackers, four defensive backs) but, instead of taking out Chung with a reserve safety, Belichick went with a third cornerback. That allowed the Pats to stay with the six-man surface while also being able to match-up with L.A.’s three receivers with corners. Belichick managing to pull this off against the NFL’s next offensive genius is significant on its own. Once an out-classed guy from the 70’s to being turned into a wizard with his cutting edge football strategy, McVay admitted after the game. This was no coincidence in any sense. In fact, in two matchups against McVay — the first coming during the 2015 season — Bill’s defenses have surrendered 13 points with the only touchdown coming on a garbage-time drive. Superbowl isn’t the first time we’ve seen McVay’s offense being thwarted. The Eagles and Bears defense have also given the Rams trouble, but those units were only on Pro-Bowl talent. In addition, this Patriots defensive line up was a whole new level for the Los Angeles’ football team. As for the Pats, they became only the second franchise to win a Super Bowl with two or fewer Pro Bowl players. Yet the focal downside was still the fact; Brady not being the quarterback he used to be. But, Belichick didn’t need him to be either. Just like he didn’t need him to when the Patriots won their first Lombardi back in 2002. Or when he helped New York upset the Bills being the former’s defensive coordinator with a brilliant gameplan that now sits in the Hall of Fame. Bill Belichick has never needed elite quarterback play to win a championship. The 2018 season — which may have been his greatest managerial campaign to date — was just more proof of that.